From Dracula to Frankenstein, writer-director Stephen Sommers has proved himself a master of recreating and re-imagining texts into big blockbuster B-movies. The Mummy (1999) and Van Helsing (2004) are equal parts exciting and silly. Odd Thomas is the odd one out, however. Based on the novel of the same name by Dean Koontz, Odd Thomas is the story of a detective hero with clairvoyant talents that regularly helps the police track down and punish killers with co-operation from the victims. However, the eponymous Odd finds his world in jeopardy when he stumbles upon his biggest and possibly bloodiest case yet. First of all, it should be stated that Odd Thomas is a faithful and loving screen adaption of the novel that will delight fans of the book. However, as a film experience and for a first encounter with Odd Thomas, the reaction may not be quite as positive. Anton Yelchin (Star Trek, Like Crazy) plays Odd with great execution. His presence is charming and enjoyable despite grappling with the painfully contrived and expositional dialogue. Yelchin’s talents are engaging and do keep us rooting for what little character he has to work with. Unfortunately this is where the positives end. His acting talents dwarf the rest of the ensemble and only exaggerate how clunky they can be. This is most painfully observed in his overly amorous relationship with his scantily clad girlfriend Stormy (Addison Timlin). Odd Thomas never offers any real depth in its relationships between characters and overlooks emotional variety and 3D characterisation. Odd and Stormy are only ever completely in love, Odd and Chief Wyatt Porter (Willem Dafoe) are constantly firm friends and the antagonists are outright villains of the James Bond variety. Characters start and end exactly as they did before the events, except for a few more scars. This is excruciatingly dull. Even Sommers’ directing skills are unusually dysfunctional in this piece, overusing and abusing stylistic editing to the point of gratuity. Slow motion, strange colouring and frame design are constant occurrences throughout and could easily make the Wachowskis blush. The film does offer moments of exciting action and imaginative effects but they are over-the-top and effectively rendered mundane. Traces of Sommers’ trademark B-movie fun do inhabit aspects of the film, from the fights with ghouls, the ridiculous physics of the world or farcical humour. Yet these are few and far between and better suited to the monster movies in his earlier work that demanded attention and appreciation for their brilliant silliness. The genre of the film seems to be the true elusive and confusing mystery. 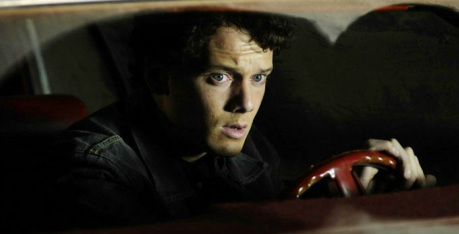 Odd Thomas veers violently from noir, to thriller, to action and even outright comedy and often this inconsistency arises between adjacent scenes. It is an unfortunate mess that never tidies itself up yet still manages to tick the boxes of all the clichés of the genres it dabbles in. Ultimately, Odd Thomas falls under one very concise category: the Friday night easy watch list. It is brainless but with plenty of exciting effects and outrageous fights, sprinkled with some very obvious and extremely loud jump scares. Odd Thomas even offers audiences the option to leave the room whenever they choose thanks to the huge amount of expositional narration. 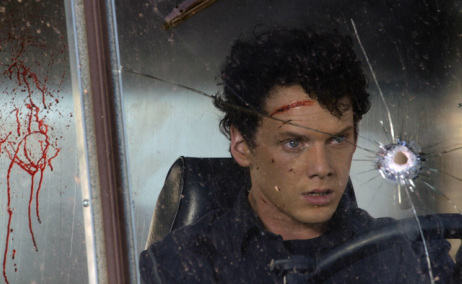 If you are seeking an intellectually stimulating experience, Odd Thomas is not recommended. But if you have a bucket of popcorn and two hours to spare, it is something you can happily watch whilst talking and texting simultaneously.